I'm very excited to feature Sally Steponkus, a talented designer whose fresh, stylish work is a favorite of mine! Last fall at the NSO Celebrations design event I fell in love with her chinoiserie dining room and the crush continued this spring at the DC Design House where she created a modern sitting room pairing Farrow & Balls taupey-brown Mouse's Back with yellow. 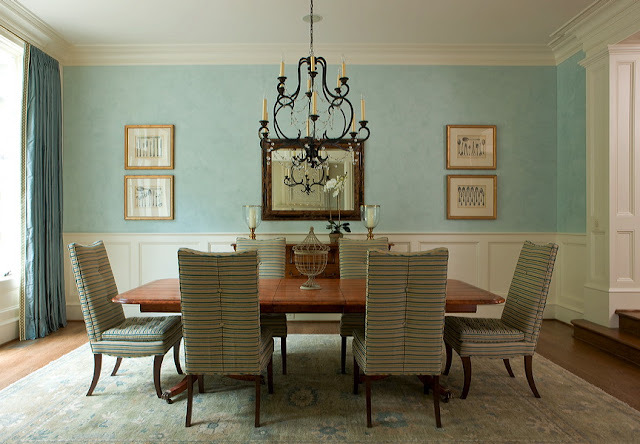 (This room is a must see - click here for the pics) I think it is one of the most succesful rooms in the whole showhouse. 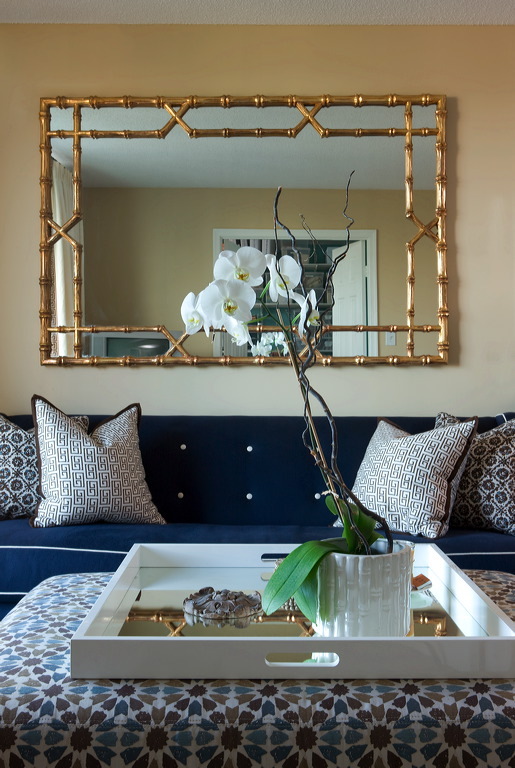 Whether it's a traditional or more contemporary room, Sally has a great eye for detail and color and a confident sense of how much is just-enough but not too much. Love the choice of the black chandelier and the simple accessories in this dining room. The striped chairs are terrific. All photography is by Angie Seckinger. 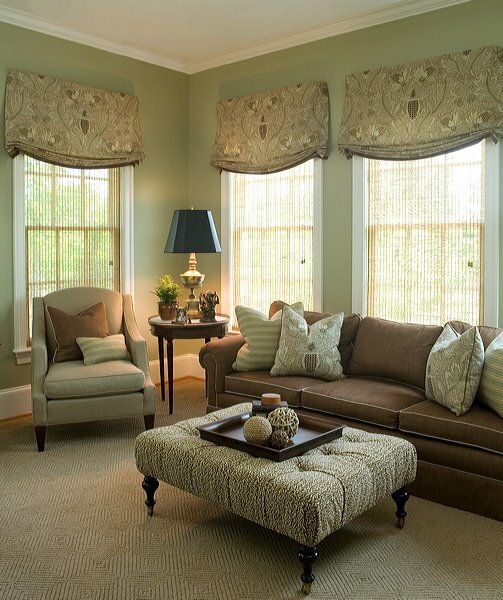 A simple edging on these curtains elevates them to a whole other level. More refined, classic styling that is still warm and inviting. 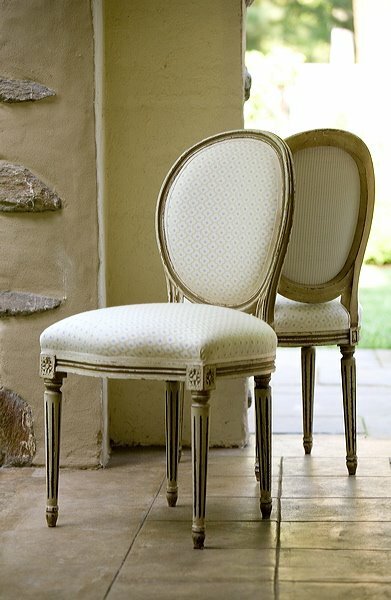 Sally has a talent for selecting great chairs - love these. 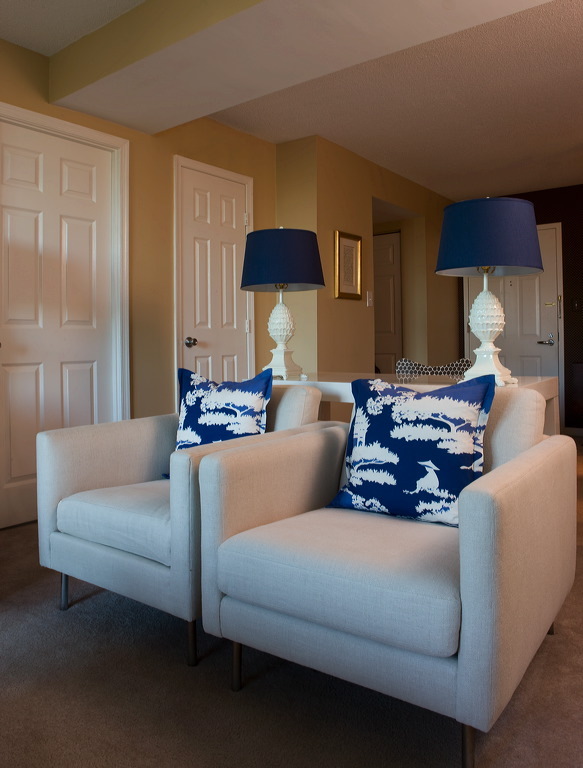 A comfortable space to gather that although relaxed still has a nice, tailored edge to it. Kind of like pairing a crisp white shirt with jeans - comfy but a bit dressy at the same time. This wallpaper is gorgeous and plays off the striped upholstery nicely. 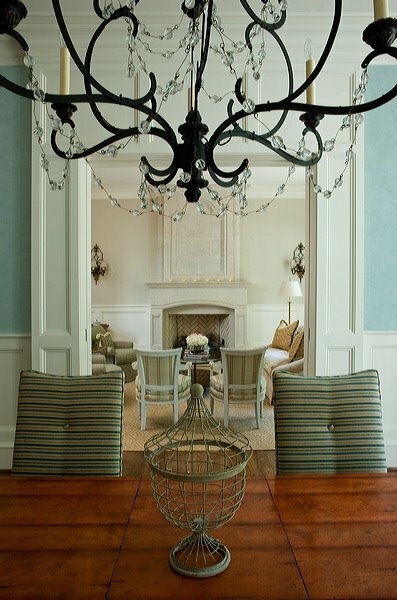 Love the flaired wing chairs - this unexpected touch keeps the room fresh and current. Really like the shells paired with the orchid arrangement. fun, hip color with attitude. This design is for Sassanova, a chic Georgetown shoe salon. Now for more fun - Sally included pics from her own apartment! 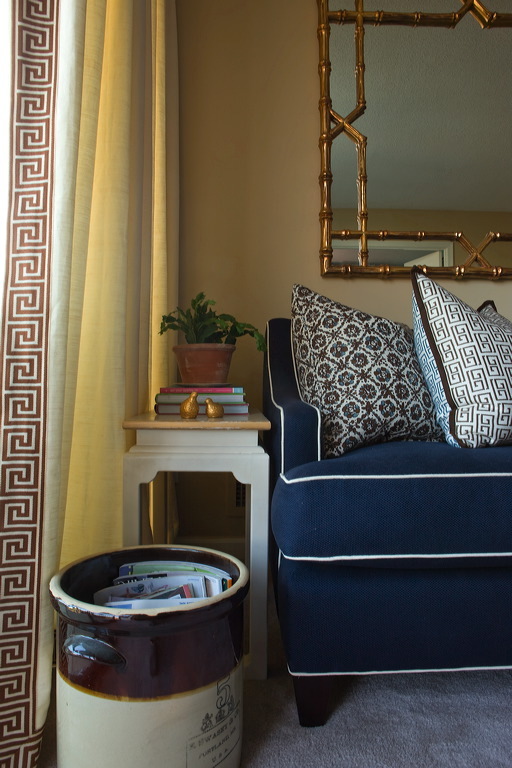 I'm partial to greek key borders and like how the trim on the curtain ties in with the key motif on the pillow. If Domino magazine was still around I could see these chairs and pillows fitting right in. More great chairs! Homer's Odd Isn't He did a great interview of Sally back in October. In his post he gave the background on her zebra chairs. 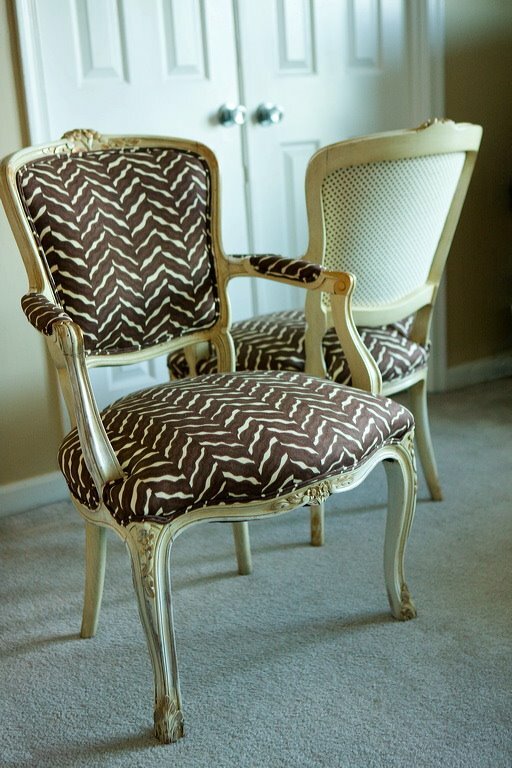 "Recently I purchased chairs for myself (Craigslist) and recovered them in a wonderful Sea Cloth chocolate zebra print on the front with China Seas ivory linen and chocolate polka dots on the back." 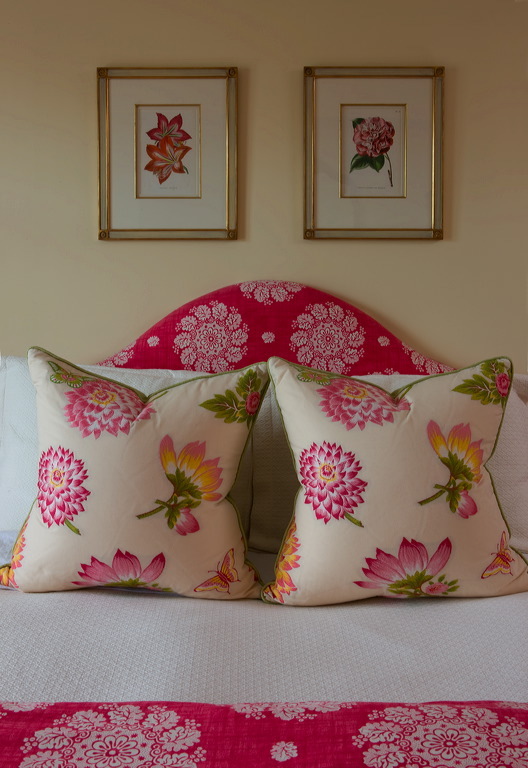 Happy and cheerful bedding. I've only met Sally briefly but I have a feeling that having her as your interior designer would be a fun and cheerful experience too! 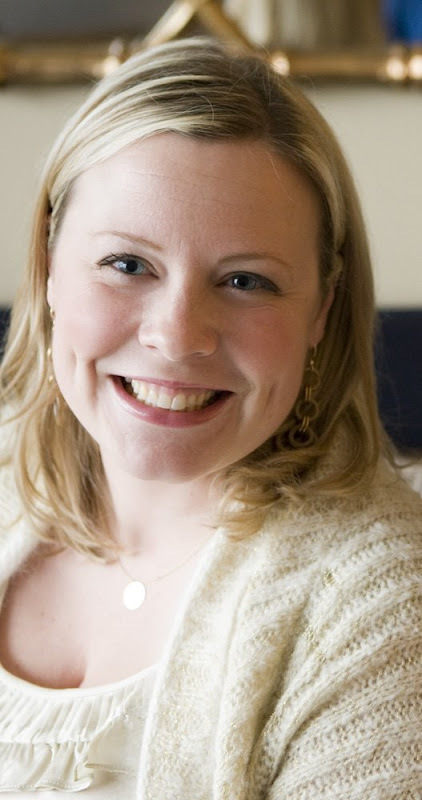 Sally's firm has now expanded to include associate Heather Safferstone. 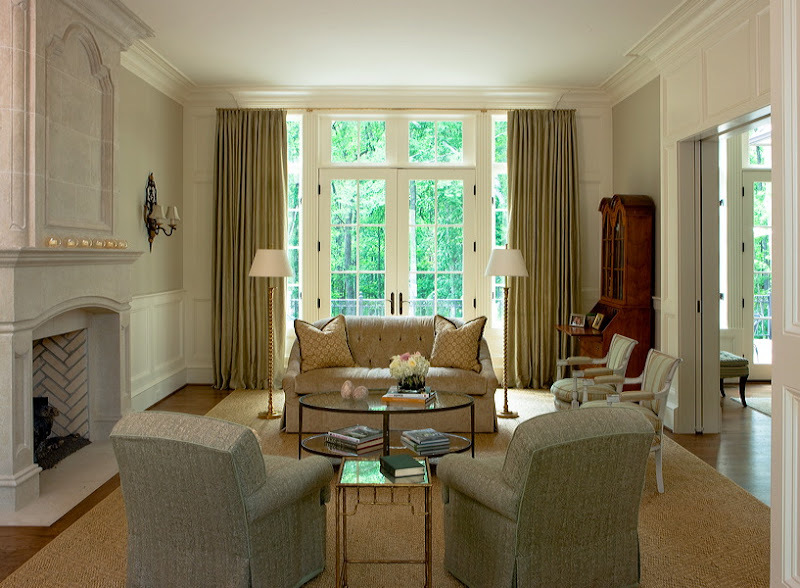 To see more great interiors, visit Sally Steponkus Interiors. Wow! I love Sally's style and choice of materials. Simply stunning! LOVE those bergeres. Love love love! Lovley! That first space just looks So Washington DC. IS there a washington DC look??? I think there is (unfortuantely) an OLD washington dc look -and sally is changing all that, Linda! 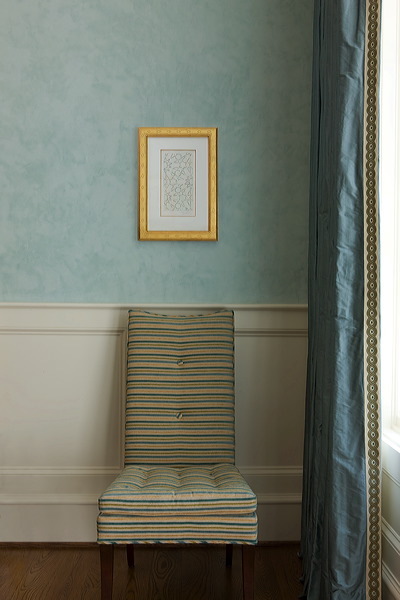 I loved this showhouse -her work is so pretty and comfortable. Can't wait to see more from her! I see why you are crushing on Sally's style - fresh and beautiful, indeed! I love the bedroom and the chairs and the mirrors and the pillows!! She hits all the right marks, and what a young thing oh my! Sally has great taste. I love the pink sofa! Thank you for letting me know about her. Great, great post - I love her style. All of these feel like a breath of fresh air. Lovely. Glad everyone is enjoying Sally's work as much as I do. Linda at L I Coconut - You're right - I think there is a Washington DC look - maybe it the stately feeling in the room? Agree w/Architect Design that Sally's is the New version - fresh and clean. 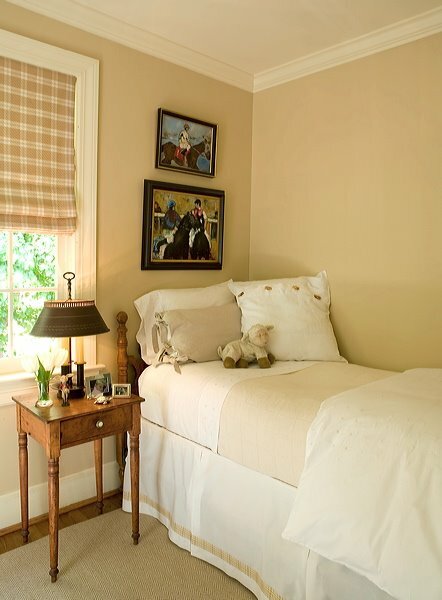 Definitely check out the link to the Showhouse - that room is terrific. What a wonderful designer. I love her uses color and textiles. I have those same blue Asian pillows she has!! They are from Company C based in NH- they have awesome things. 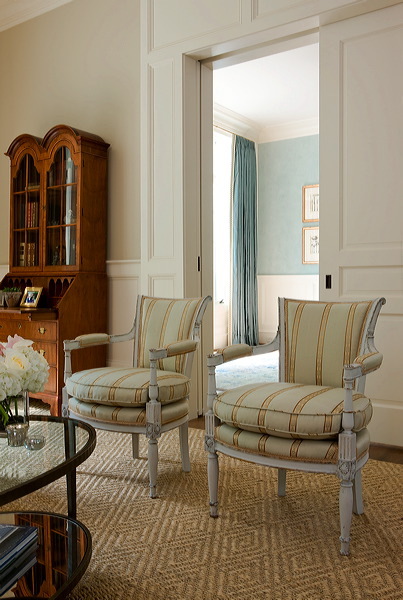 Sally's style and interiors are so stylish and lady-like. Thanks for the intro, Michele! Beautiful work Sally! Thanks for sharing. great find...she has so many details that are fabulous!! What talent. Sally creates such fresh looks that are current but classic, too. Great post and definitely someone to watch! BEAUTIFUL post... you ALWAYS make me want to runaway from home! Lovely. 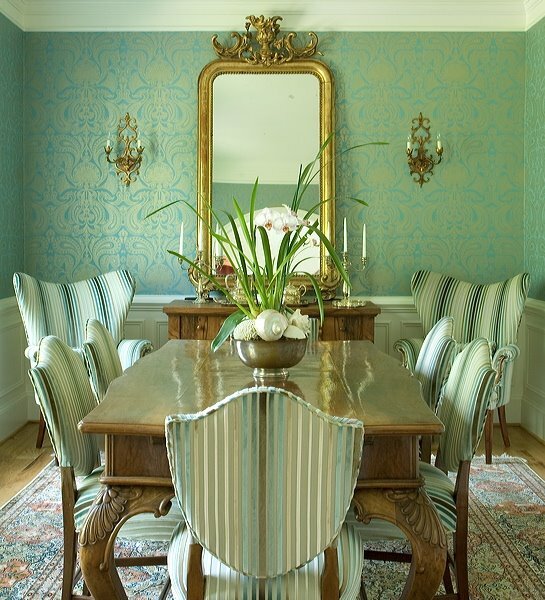 especially that dining room with the striped wing chairs! And the completely wonderful wallpaper. Thanks for the introduction! Beautiful work. Not only is Sally a sensitive, talented designer; she's also a lovely person. She's as generous to her colleagues as she is to her clients - and let me tell you, that isn't always the case! Great profile. so pretty! I just saved half of these to my inspiration files. thanks for sharing! Stunning interiors! It's elegant and grown-up with out being stuffy. Love the colors, so soothing. I love Sally's bedroom with the pinkish medallion duvet and matching headboard... need to know where to purchase the fabric!! It was in the Feb. 2010 edition of Southern Living.